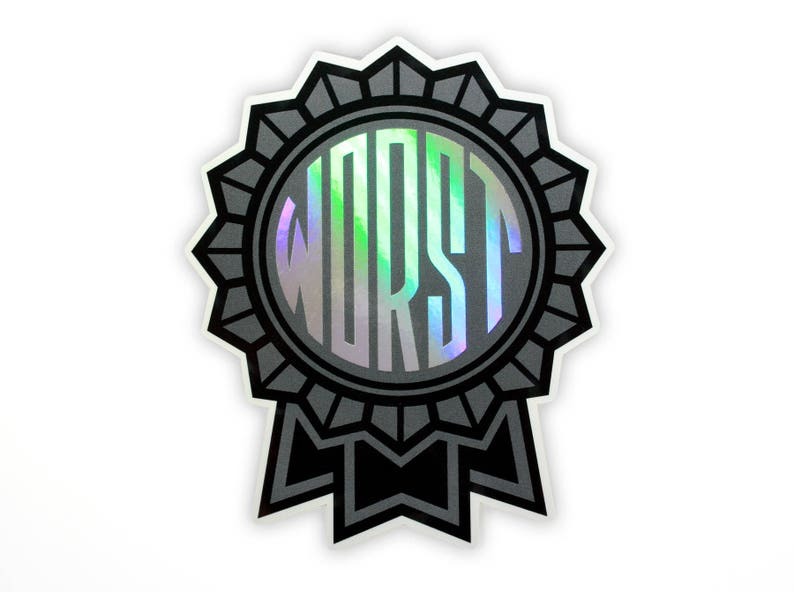 The perfect prize for anyone who is simply the WORST. This die-cut sticker is black and gray with WORST in holographic lettering. Printed on specialty holographic, weatherproof indoor/outdoor vinyl. • Size: 3.5" x 4"
Pairs wonderfully with my other positive affirmation sticker.